In F&R II: Newman expert John Griffin established Newman’s honesty and accuracy in recounting a key aspect of the mid-nineteenth century Anglican Oxford Movement, which led many into the Catholic Church. 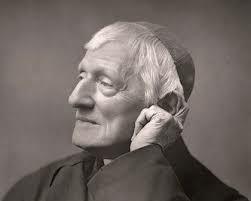 In the article presented here, Griffin argues convincingly that those who remained in the Anglican Church after the conversions began were, by contrast, unable to be objective about Newman and Catholicism. Presenting evidence from the writings of leading Oxford Anglicans such as Edward Pusey and John Keble, as well as from less well-known sources, Griffin proves that distortion and ill wishes were very much apart of the Anglican response to Newman’s conversion. In presenting his case, the author also questions the thoroughness and reliability of Anglican historical writing, which has unfortunately perpetuated the old and anti-Catholic myths up to our own day.